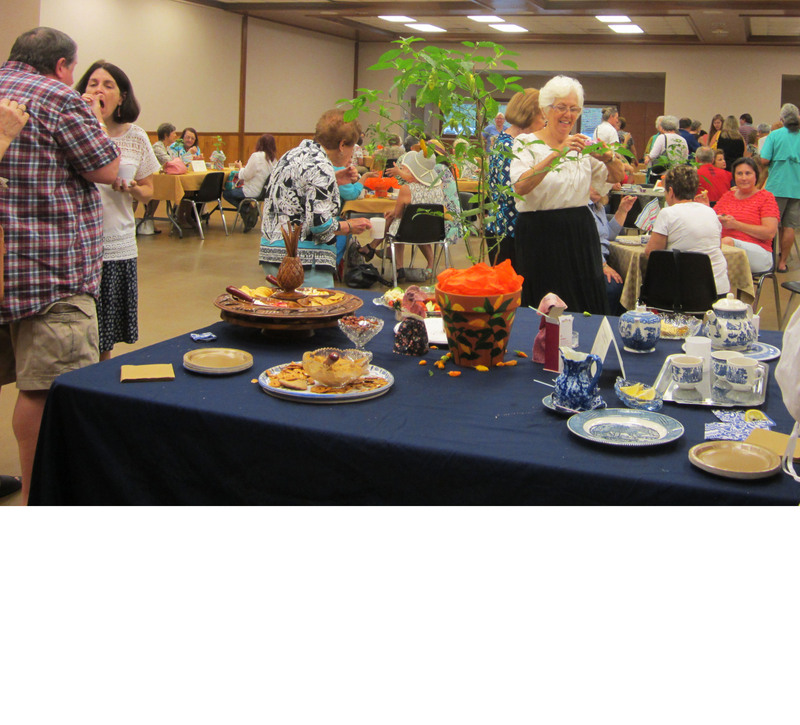 Patrons to the 2015 Datil Pepper Tea check out refreshments. In 2015, members of the Pilot Club of St. Augustine, a community service organization, were looking for a way to celebrate the 450th anniversary of the founding of St. Augustine. Combining the history of the city with one of its favorite culinary treats – the fiery datil pepper used in so many of the Spanish and Menorcan foods, members came up with an idea. Why not develop a tea using the popular datil pepper? It’s found in so many other foods including the very popular rice dish, pilau – pounced perlow; and even in desserts, a beverage seemed an obvious next step. Leslie Coleman, left, and her mother, Jo Ellen Coleman, toast with a taste of the datil pepper tea Leslie created in 2015. Developed by former Pilot president and Florida district officer Leslie Coleman, the datil-flavored tea turned out to be a big hit. For those who liked it and wanted another taste, and for those who wished they’d had an opportunity sample the unique tea blend, a second chance is being offered April 27, when the Pilot Club hosts its second Datil Pepper Tea from 2 to 4 p.m. at the St. Johns County Agricultural Center, off State Road 16, west of St. Augustine. Donation is $20 for this event sponsored by Pilot, a 501 (c) 3 organization, and tickets are limited. To purchase tickets call 904-471-2246 or 386-325-1478 and leave a message. In addition to the datil pepper tea, another tea selection will be available, along with a variety of tea sandwiches and sweet treats. Highlight of the day will be honoring of members of first families of this old city, along with other features and the possibility of a variety of vendors offering items using the datil theme. Proceeds from fundraisers like this are used by the Pilot Club for projects ranging from honoring the nation’s military to providing funds for youth projects. The international project for Pilot is brain injuries.